The Monegasque says they tried to do "the best possible job for everyone" by executing a decision "very difficult to manage" from the wall. Ferrari returned the captain's bracelet to Sebastian Vettel in China. Since Leclerc joined the ranks of the Italians, the German became "the priority" of the 'Scuderia' and on the Asian track in Maranello again confirmed by betting on the rhythm of the four-time champion against the Monegasque that, when he received the radio message, he rolled ahead of his teammate in the third position having to settle for the fifth place after the plans did not go well. 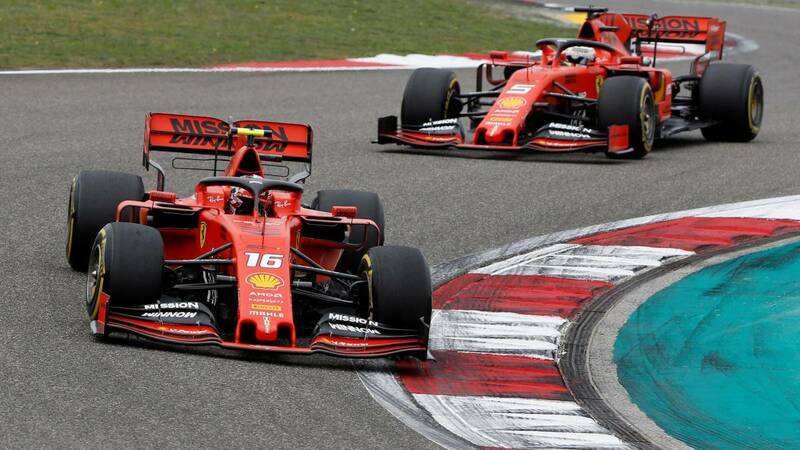 The Italians again made use of team orders to allow Vettel to try reduce the difference that separated them from the Mercedes, more than five seconds of the SF90 at that time, and again Leclerc was the great victim of a decision that made him also lose his position with Verstappen to which, however, he has given another interpretation: "I sacrificed? No, I would like to be clear: we are a team, today we try to do the best job p for all, not for me alone. That's what we tried. " The Monegasque defends again the 'Scuderia' before" a very difficult situation to handle " from the wall, but does not hide his feelings either: " At that moment I felt frustration in the car, still more when Sebastian overtook me, when I saw that he did not leave and when I damaged my tires, but there is an explanation behind all that and I understand it. "Once again Binotto wanted to thank his pilot how he managed the decision but again defended that" Vettel was slightly faster. "